spark plug n. A part that fits into the cylinder head of an internal-combustion engine and carries electrodes separated by an air gap across which the current from the ignition system discharges to form the spark for combustion. Well, at least that is how Webster's Dictionary defines it, but it seems that the typical marketing hype out there has created a lot of new definitions! It seems that it is every other day that we hear about some new "designer" spark plug that is "better" for your type of car, style of driving, or horsepower need. But first, there is more to getting the most horsepower possible than ensuring a good spark by just picking up the "best" plug  you need to have your charging system, battery, ignition system, crankshaft sensor and other assorted sensors, fuel system, and ignition computer operating at their best too! Let's start at the beginning of explaining this simple but amazing design. It goes without saying, that there are many designs...just look at the back of that Champion reference manual at the parts store, and you will see more types than you dreamed of, and that still is not a complete list. To make this part short, suffice it to say that our cars use an extended reach design. 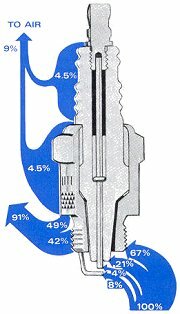 The "reach" of the plug is dependent on the construction of the cylinder head. "Reach" is defined as that dimension of the metal shell from the base of the seating surface (not the washer but the shell) to the top of the shell intruding into the cylinder head. Note that this area of the plug is the part through which the plug conducts the heat it absorbs from the engine, hence it is quite important. Note that using the recommended (i.e., OEM spec) reach is critical. A plug with too short a reach will tend to shroud the plug, allowing for deposits to form and missing to occur. A plug with too long a reach will overheat the ground strap due to the exposed threads, enhances the risk of the plug being struck by the piston, and possibly makes removal impossible due to accumulation of deposits on the exposed threads. Next we have the gap location which is essentially how much the electrode and its insulating ceramic project above the rim of the shell. Here the intention is to position the spark at the most optimal (or as close as possible) position without getting the electrode hit by the piston. Here, exceeding the manufacturer's recommendation is a big no-no. A projected nose spark plug is also an excellent way to broaden the heat range of a plug since the incoming charge helps to cool the plug. Again, care should be taken so that parts do not come crashing together! Last is the spacing of the gap, a.k.a. plug gap, which is self explanatory. Note that while the reach is defined by the design of the engine, the gap location and its spacing are dependent on the type of service. Other details of construction would be things like multiple electrodes (to divide the gap growth among several gaps) or resistive elements in the center electrode (more on this below). While under operation (at a design operating temperature of between min. 900 degrees F and max. 1600 degrees F), the center electrode gets hot. Anyone who can still remember the tube transistor will remember that a hot anode can radiate more electrons more easily which is exactly what happens here, and the breakdown voltage of the gap (the voltage needed to bridge the gap) is reduced. Note that for this to happen efficiently, the center electrode should have negative polarity. Plugs come in what is termed "heat ranges." Put simply, a "cold" plug has a shorter path through which the absorbed heat must be conducted, hence it runs "cooler" than a plug with a higher heat rating. There is often the misconception that colder plugs make more power  this is not necessarily so. What a cold plug will do is last longer under high-load conditions (e.g., WOT) than a hot one. It does this by better conduction of heat leading to longer life of the electrodes which lead to less gap erosion leading to more consistent sparking. A hot plug is most often recommended for engines that idle frequently and for long periods or operate at low-load, low speed. A hot plug in a race engine not only would not last long but could also contribute to engine damage due to pre-ignition if the spark plug begins to glow. As you can see, our engines spend time in both areas; that is the reason for the recommendation to always start with the manufacturer's recommendation whenever looking for a change. On a cold plug, heat does not have far to travel before dissipating. Generally, the higher the number, the hotter the plug. Heat flow from a spark plug. Since in our cars (which are what is called a "waste" spark ignition system design) one plug is negative and the other is positive (the plugs sit on opposite ends of the same side of the coil), the breakdown voltage is increased by about 30% for the plug with the positive polarity on the center electrode. What does this mean? One, our ignition system has to be able to come up with this extra juice, and two, on two cylinders your center electrodes will show wear while the other two will show it on the ground strap. Our ignition systems are designed to handle the first point, and we can take care of the second with regular maintenance. Also note that some plug manufacturer's are making a "double platinum" plug specifically because of this ignition system design, with platinum electrodes on both the center electrode and the ground strap. Let's jump back to the design of the center electrode. Some plugs use an internal gap in their design so that the breakdown voltage of the capacitive discharge burst is fixed by this auxiliary gap and not by the firing gap within the engine. This is quite common in plugs for two stroke engines (such as outboards) to prevent cold fouling. 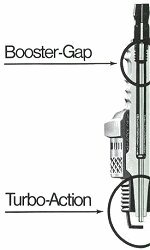 A booster gap provides protection against fouling at low temperatures. For most cars, a resistive element (hence the term resistor plug) is used to help reduce radio interference and gap erosion. This resistive element (typically 10,000 ohms) changes the initial resonance characteristics of the ignition's secondary circuit, thereby reducing the initial high-frequency, high-current capacitive phase (i.e., less high frequency radio noise) of the arc discharge, and as a byproduct helps to reduce the erosion of the gap. The ensuing low frequency, low current inductive phase of the arc is minimally or not affected by this element. 1) The gap size: The bigger the gap, the more juice needed (I seem to remember some old rule of thumb relating that for every thousandth of an inch increase in gap, you needed five thousandth more volts to jump it...I cannot remember exactly). 2) The geometry of the gap: Small pointed electrodes require less voltage. Note that surface conditions makes a big difference. 3) The temperature of the electrodes and the incoming charge: High temperatures allow for low voltage (but increase probability of knock). 4) The density of the charge: High densities (like those under boost) require more voltage to spark. 5) Leakage resistance of the insulator (i.e., electricity always wants to take the easy way out): Maintenance can take care of this. 6) Rate of increase of the voltage at the gap: We are bound by design here, so there is no sense worrying about this. 7) Ionized gases: Their presence, if any, reduces the voltage needed. More of an issue for multi-spark systems than our long duration systems. 8) The air-fuel ratio of the charge: Why? Because it sets the electrical properties of the charge. Lean mixtures are harder on arc initiation than slightly richer ones. 1) A combustible mixture must be between the electrodes during arc. 2) Large gaps increase the probability of regular firing  except when #4 above, in which case misfiring can occur. 3) A high density mixture liberates more energy when sparked increasing the probability of flame initiation. 4) It follows that it is easier to ignite slightly rich mixtures than lean ones  so much for gas mileage, eh? 5) The position of a plug and its electrodes in the chamber relative to the flow inside that chamber. So finally, what does all this mean to you? I mean, what plug should one use and at what gap? Well, it depends. Those fourteen variables listed above are not exactly the same for all cars, even those of our genre. 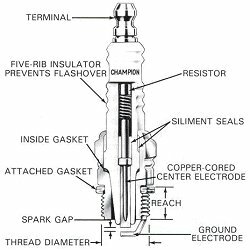 My thoughts are to start with the manufacturer's recommendations and learn to read plugs (spark plug reading charts are readily available, so I won't make them available here). If you tend to just drive in traffic or have a light foot, go ahead and open up the gap a couple of thousandths. You will give away some wide open performance (hey, it may do fine for you), but you will gain some gas mileage (disclaimer: your mileage WILL vary  I am not promising any numbers!). 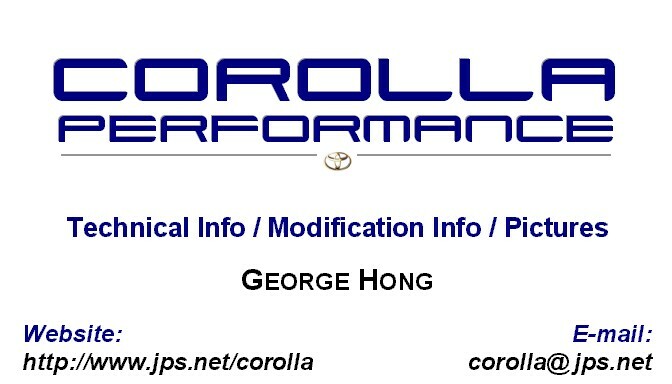 For those who live by the millisecond of a quarter mile, I would be curious to see what happens if you stayed stock or even at the low end of the spectrum (say 0.028", or even 0.026"?!?). It should help with the reliability of ignition at WOT which would give more power. As for temperature rating, again if the stock heat rating plugs appear clean and unfouled for your driving conditions, then try a lower heat rating. Remember to check your plugs frequently to see if they are fouling or still running clean. The basic recommendation is that experimentation will lead to the preferred type and setting. If you do not want to bother changing these many plugs, just use the manufacturer's setting  they will not let you down. Yes, you can tune a spark plug just like everything else in life. Note that these recommendations really apply more to an already used plug that you are trying to get some more life out of than a brand new one. (Just go buy new plugs! They're relatively inexpensive, and older plugs require higher sparking voltages.) As mentioned earlier, misfires are surprisingly common. How do you prevent them while getting the best spark for the money? Easy, nice sharp edges on the center electrode and ground strap are what you are after. Cut em, file em, replace them, just keep the edges sharp! It is because of this one reason why you see plugs with U-grooves (e.g., NipponDenso), V-grooves (e.g., NGK), split ground straps (e.g., Splitfire), multi-ground straps, etc. They are all attempting to increase the number of sharp edges available to the spark. After this, gap em as recommended by the manufacturer (or as suggested above), put some antiseize grease on the threads, and put them in. Platinum is an interesting metal  not only is it a decent conductor and incredibly expensive, it is also very dense on a molecular level. It is this property that makes it attractive to engine designers looking to extend tune-ups out to 100,000 miles, i.e., a platinum plug by the nature of its metal is more resistant to erosion due to spark arcing which reduces electrode wear which maintains plug gap, etc. You get the idea. Please note that its main drawback is that it is not as conductive as copper (or silver, which is also used in spark plugs). Let's talk about some designer plugs out there. Note that I do not intentionally mean to slander your preferred plug  these are just my observations and opinions! If you are happy with your plug, there is no reason to fret. AC Rapidfire is an unusual looking design. It has 12 ribs on the center electrode to offer many sharp edges to the spark and uses a nickel-silver ground strap to increase the thermal conductivity of the ground strap. It also uses the trick, as do most other designer plugs, of using a tapered side electrode uncovering more of the spark for better ignition. (This is a big hint to those trying to modify their plugs.) I guess that the biggest drawback is that they do not make an application for our cars yet. Accel & NipponDenso have both used the U-groove design in their ground straps. Both are good plugs with copper center electrodes. Autolite has come out with a double platinum plug. If you hate changing your plugs, here is what you have been looking for. If you are looking for the Holy Horsepower Grail, keep going. Note that they do make a single platinum plug, which many DSMers have used and are quite satisfied with. Bosch Platinum probably was the first to start the craze with their fine-wire center electrode made entirely of platinum (no wonder, if they had made a normal size wire, all the jewelers would be constantly buying out the supply just for the platinum!). But as I had mentioned before, their fine wire design needs less voltage to fire the plug hence offsetting the loss from the lower conductivity. It uses all the tricks  a projected nose for a wide heat range and a tapered ground strap for good spark exposure. I have observed first hand an interesting but disconcerting behavior  as the wire wears down into the electrode, if the wear is allowed to progress too far down, it will shatter the center electrode ceramic! Note, that I have only seen this on plugs that had not been changed for over 50,000 miles! On regular changes (i.e., 10,000 miles), I have only noted a minimal erosion of the center electrode below the surface. Champion has two new plugs, the Premium Gold and the Accelerator. The Gold plug uses a finer center electrode, of about 0.080" diameter versus their standard plug's 0.100". The Gold plug also follows the rare, expensive metal route by using a GOLD PALLADIUM insert in the center electrode to extend its life. It also adds a tapered ground strap that is made with a copper core to dissipate heat (it is claimed to run as much as 200 degrees F cooler than a normal ground strap). They have even added a solid high temp lubricant to the threads to make the plugs easier to remove from aluminum heads. All of these features help performance but are really aimed to extend plug life (they quarantee them for three years). The Accelerator is definitely a piece of work and is intended for racers. It starts with an even finer electrode, at 0.052", again requiring even less voltage to fire than the gold series. Its biggest drawback is that it only comes in quite cold ranges, intended for high compression engines; it is not recommended for street engines and only comes in applications for Chevy engines. NGK has its V-groove plugs and its VX line of platinum plugs. The V-groove plugs are popular with OEM applications and have a copper core center electrode with a nickel alloy ground strap  I would consider these just slightly above basic features. The VX line is their premium plugs coming with a 0.030" fine wire center electrode with a conical center electrode working with a tapered ground strap to expose more spark to the fuel while needing less voltage. Applications for our engines are available in both lines, although it is sometimes hard to find someone that carries NGK. Splitfire. They are probably the root cause for all this recent market fuss over a very simple design. Now that we have discussed all the idiosyncrasies of a plug design and its optimization, what we see is a very basic design. A copper core center electrode paired with a split ground strap made of nickel alloy to increase the number of sharp edges while using a forked electrode design instead of the tapered design to expose the spark to the fuel. No rare metals, no long durability, just a plain plug, don't you think? I also believe that the forked ground electrodes present an opportunity to create a glow point under WOT which could lead to pre-ignition. Anyway, at their price, I'll go get me a set of NGK VX any day! Beru. Recently introduced to the US market, its claim to fame is a silver alloy center electrode which is claimed to reduce the voltage needed to fire. Apparent drawbacks are its very high price, low durability, and shortage of vendors carrying it. Again, if it works for you, then there is no reason to fret. Hope this helps on your quest for the ideal spark plug.